NEARLY 50 years after its inception, Cholamandal Artistsa�� Village in Injambakkam is still one of a kinda��flourishing as it is without any government help. a�?a�?When the original idea was floated, one of the biggest criteria was that members should own a piece of land. That is the reason I think Cholamandal has succeededa�� it is for keeps,a��a�� says sculptor S Nandagopal, whose father, the famous KCS Panicker, was instrumental in setting up the artistsa�� commune in 1966. Earlier this week, Nandagopal was joined by other members of the community to set up a Cultural Centre, where painters and sculptors from all over the world will be invited to stay and work on their craft. a�?a�?Besides art, there are other avenues that artists can pursue, like film clubs and more. It will be a cultural exchange of sorts,a��a�� he says. The set-up includes a studio, gallery and accommodation for artist residencies. a�?a�?The fact that 50 years ago people decided to do something like this, and it still successfully continues, is a remarkable thing. 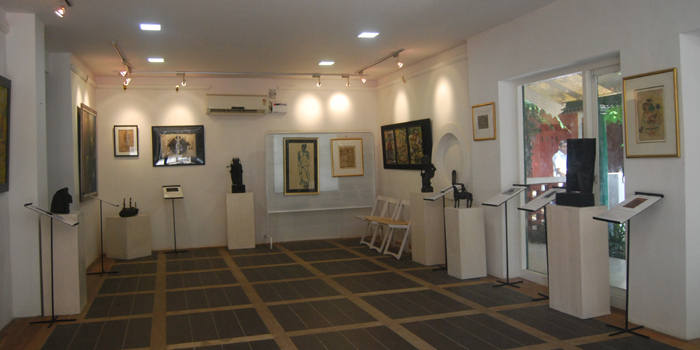 The Cultural Centre is simply the next step,a��a�� says Bishwajit Banerjee, director of the Art World gallery, which is also celebrating its half century this year. The gallery is bringing a bronze casting set up to the Cultural Centre, where people can learn the craft and explore interesting collaborations. a�?a�?Ein-Hod in Israel is a place for artistsa��where studios are cut into rock surfaces a��and is fully government funded. The Macdowell Colony in New York is where you can cut yourself off completely from the world and work, but only for three months. Cholamandal is unique,a��a�� says Nandagopal. a�?a�?It was the bedrock of the Madras Movement.It will keep growing,a��a�� he adds.